The memory of the devastation wrought by hurricanes from Irma and Maria is still fresh in our minds. The islanders, as well as those of us who love the islands, are just a little apprehensive about the current hurricane season. The fact that my little sister, though a grown woman, is living down there means my anxiety level has been rather high. The only way for me to alleviate that feeling is to watch every tropical wave that drifts off the west coast of Africa and heads toward our shores. 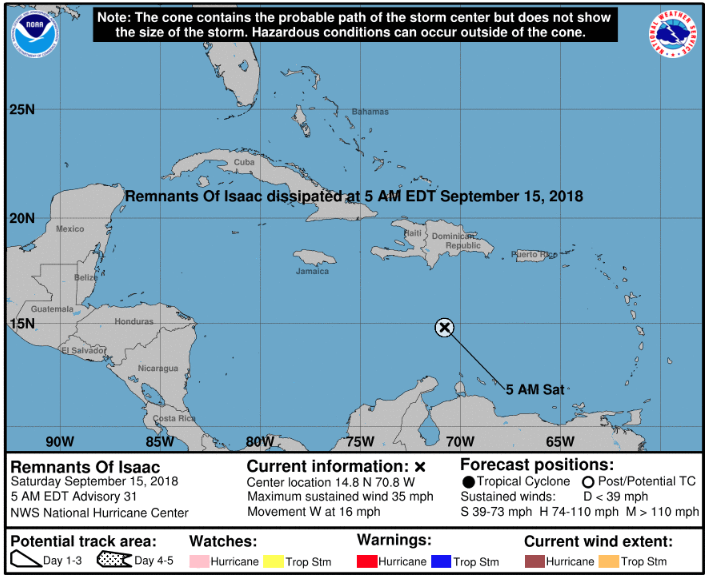 You, like me, can constantly look at charts from the National Hurricane Center closely. 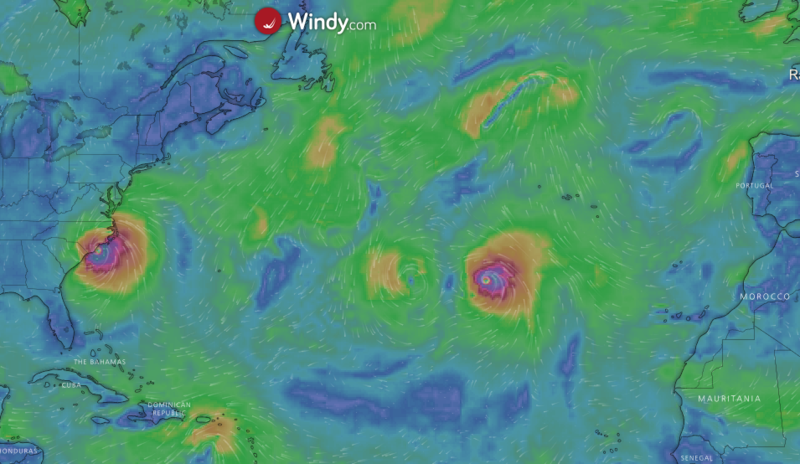 I’ve kept an even closer eye on Windy.com, my new favorite weather site. The site lets you look at wind patterns on a global scale, wave heights, temperatures, cloud cover, and weather radar with lighting. I highly recommend you check it out if you are a weather geek. But I digress a bit. The focus of my attention the last week has been Isacc. The hurricane, like most, formed off the coast of eastern Africa and slowly moved its way across the Atlantic. I watched Issac like a hawk. I was nervous as it didn’t make a predicted turn that said it would head north but instead aimed at the Leeward Islands. I called my sister on St. Thomas to remind her about stocking up strategies, how she can slowly fill her pantry with plenty of food and water just in case. She said the locals weren’t worried and they don’t get worried unless a storm is Cat 2 or higher. I started feeling better as Isaac began to destabilize and become a tropical storm. I relaxed even more as it passed 120 miles south of St. Croix. This apparently disappointed the children she teaches because they get “storm days” like the “snow days” we get in the northeastern US. I guess the point of this whole post is, whereas hurricanes were an object of fascination before, they’re a focus of obsession now. I firmly believe that by the time the season is through my time studying the weather should afford me a degree in meteorology.